I read this book well over a year ago but the story and characters continue to haunt me. Kenneth Oppel is a brilliant author, no doubt, and though he has so many awesome works, I have to say, this is my favorite. 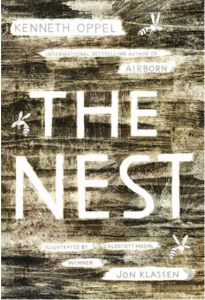 Not only is it a super-creepy story about a boy, a wasp’s nest, an imperfect baby brother, and a man who sharpens knives, but it’s a magically wise tale of life and love and coping with mental health issues and resiliency and all that is less-than-perfect in this world. A brilliantly creepy novel that will take you through a whirlwind of emotion. 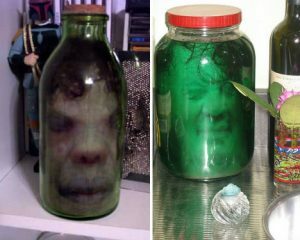 You will totally freak everyone out with this “Head in a Jar” craft! I shiver whenever I look at the photo! 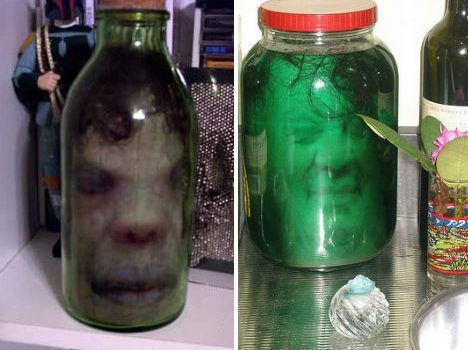 Plus, there are 13 other Eco-creepy Halloween crafts to try! 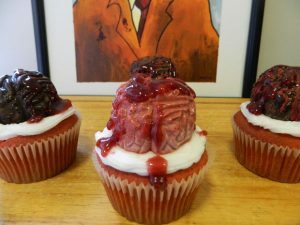 Keeping with the wasp and zombie-theme, do you know there are real zombies out there? There is a wasp that lays its eggs on spiders. The larva takes control of the spider’s mind as it grows. forcing the spider to become a mindless zombie working for the wasp. 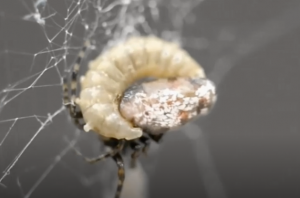 In the end, the wasp larva eats the spider. You can’t make this stuff up! Watch this…if you dare! One of my favorite authors growing up was Edgar Allan Poe. I loved The Tell-Tale Heart and aspired to write similar stories. This is another awesome Poe story–ANIMATED–and narrated by the amazing actor of so many great horror movies, Sir Christopher Lee! you may also remember him as Saruman in Lord of the Rings! (In my opinion, this video fine for viewing by junior grades!) Check it out here! Though Halloween is my favorite holiday, let’s not forget many children do not celebrate it. 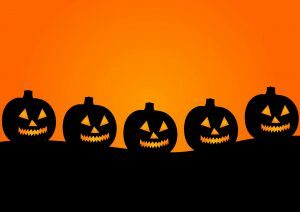 Also, for those that do and have some special needs, read this for great tips on how you can make Halloween more inclusive for your child, friend, or student!